O Most loving Father, we need You to attain purity and the joy it brings, for without You we can do nothing. Teach us Your children to reverence our bodies and the bodies of our sisters and brothers in Christ. Help us to recognize in each human person an incarnate spirit, an image of God, a sacred temple of the Holy Spirit, a person worth all the blood of Christ, a child of God to be loved with Your benevolent love. Teach us to reverence the sacredness of human sexuality, an icon of Your divine self-giving and divine creative power. Deliver us, Father, from the evil of seeing the bodies of Your daughters and sons as mere things and objects, and the evil of using them for our own selfish ends. Forgive us our sins which destroy our friendship with You, the source of all our happiness. 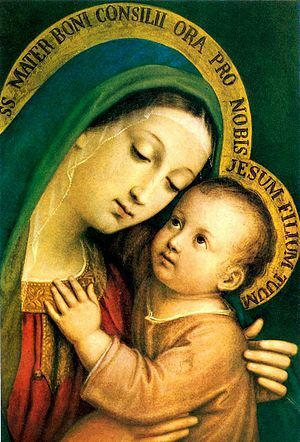 O Most beloved Mother, through your all-powerful prayer, help us to live with the dignity of a child of God. May our reason and free will be the masters of our feelings and desires. And may Jesus be our one Master and Lord.